The LORandite EXperiment (acronym LOREX) is the only geochemical solar neutrino experiment still actively persued. The Tl-mineral lorandite, TlAsS2, occurs in the ore deposit Allchar, Macedonia, close to the border of Greece. The polychronous and polygenetic Sb-As-Tl-Au Allchar deposit was formed by complex physico-chemical processes occurring in a heterogeneous geological environment and by interaction of polyphase hydrothermal fluids with the surrounding magmatic, sedimentary and metamorphic rocks. The genesis of ore mineralization is related to the products of polyphase magmatic activity of Pliocene age (~6.5 to ~1.8 Ma) and its spatial location was controlled by magmatic, structural and lithological factors. The Allchar deposit comprises several orebodies of various shapes, textural-structural characteristics and element associations. Thallium mineralization, which is of significance for the LOREX project, has been proved in two locations: (i) ore body Crven Dol in the northern part and (ii) ore body Centralni Deo in the central part of the Allchar deposit. The age of Tl-mineralization is 4.22 Ma at the Crven Dol locality and 4.31 Ma at Rudina near to the Centralni Deo locality. The present depth of ore mineralization from the present soil surface is about 30 m to 140 m, whereas the paleodepth of its formation is considerably bigger. Using the method of quantitative geomorphological analysis, and AMS- and MS-measurements of cosmogenic radionuclides 26Al, 21Ne, and 3He, the erosion rate has been established to be ~70 m/Ma in the broader area of the Crven Dol locality and ~130 m/Ma in the Centrani Deo of the Allchar deposit. 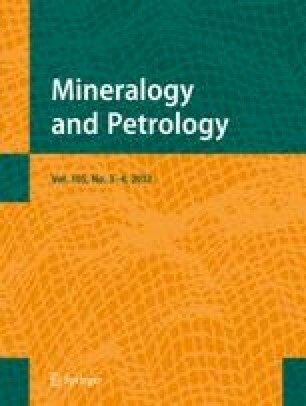 On the basis of these erosion rates and ages of Tl-mineralization, we have calculated the paleo-depth of Lorandite to be ca 180 m ± 35 m to 420 m ± 80 m. Geochemical and mineralogical investigations on lorandite in particular its trace elements (Pb, U, and Th), the quantity of lorandite in the two ore bodies, the geological age and the paleo depth of Tl-mineralization have provided encouraging results and indicate the feasibility of the LOREX project. Authors wish to thank the FWF for supporting LOREX by grant P 20594. M.K.P. is very thankful to the University of Salzburg for its hospitality and financial support.